Sample ZIPs and tools to accelerate your automation and CI integration. ZAPI: automation and CI integration. Test Importer, ZAPI Board, and Maven plugin. 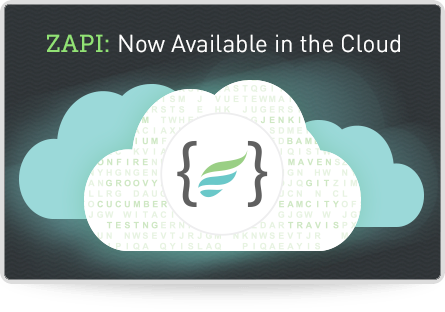 Release of ZAPI in the Cloud to enable continuous testing. Real time test management platform for enterprises. Track quality, manage global teams, integrate with JIRA and report in real-time. Test management inside JIRA. Sophisticated and cost effective testing. Installed on your JIRA Server. Test management inside JIRA. High availability and performance for you JIRA Data Center installation. How to import the testcases using Sheet Filter ? I would like to import the testcases present in specific excel sheet filter. How to do it? 1. Connect your JIRA(server/cloud) and ZFJ importer utility jar. 2. Select your project and issue type 'Test'. 3. Select 'By Sheet' as discriminator. 4. Check the Import all sheets checkbox and enter your importing sheet filter name in the Sheet Filter box. Note : By default Sheet Filter has [.*]. It represents all the Excel sheets and it is a must to specify when you are importing all the sheets. ->The attached excel sheet_filter1.xls has three filters named as Testcase_name1, Testcase_name2 and Testcase_name3. If you would like to import only the second sheet then enter Testcase_name2 in the Sheet Filter text box as shown in the below screenshot. -> Click on the "Start Import" button and check your JIRA, only the testcases present in the sheet Testcase_name2 gets imported. Title : How to import the testcases using Sheet Filter ? Sign up for our Newsletter to stay updated on all things testing. © 2016 D Software Inc. all rights reserved.